ALTIUS Communications, leading global provider of microwave broadband solutions and accessories, recently announced the addition of Exalt Communications to our five-year U.S. General Services Administration (GSA) Schedule 70 contract, number GS-35F-0560V for providing government agencies with information technology (IT) and telecommunications products and professional services. The addition of Exalt to our GSA Schedule contract represents a milestone and a great opportunity for both ALTIUS and Exalt. This contract provides a streamlined process to purchase some of the best and most exciting broadband solutions in the industry today. We are committed to strengthening our government relationships, and now agencies at the federal, state, local, and municipal levels can access these fine products with preferred pricing, faster acquisition times and lower administrative costs. The licensed and un-licensed microwave bands are being used extensively by US DoD for both data and streaming video applications. The Exalt products have the promise of becoming the benchmark and one of the top rated wireless solutions by our DoD customer base. The EX-4.5r Series GigE all-outdoor digital microwave radios help eliminate rack congestion and minimizing collocation space. 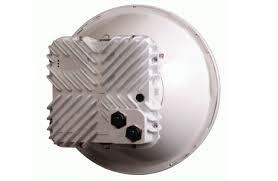 The EX-4.5r Series GigE systems were designed to meet stringent government and military requirements for applications such as voice backhaul, trunked two-way radio backhaul, GIS data transmission and remote video surveillance. The 480 Mbps of available throughput is the highest in the industry in the 4.5 Ghz band. Please contact us if you would like a demonstration or a link to test on your own in your lab. Security, Management and Data Networking. EX-4.5r Series GigE radios deliver the highest data and management security available with optional FIPS and 256-bit AES encryption and secure SNMP v3 managment, together with enhanced fault management and diagnostic features. The 802.1Q VLAN provides built in network administration and security flexibility. Want to learn more? Contact your ALTIUS Representative today. Call us at 410-667-1638 or email ALTIUS for more info and lead times at sales@altiuscomm.com. Copyright � 2019 Altius Communications, Inc. All rights reserved. If you are receiving this email and would like to be removed, please click here to unsubscribe.